The encounter begins when a Vex Cranium is picked up. The goal of this encounter is to take the shield off Argos so that the group can DPS him. There are three elemental plates around Argus. Each one has three fires burning at it that will charge up a Vex Cranium to the corresponding element when placed in it. Once they are charged, you use them on the proper elemental orb to push it into a slot which removes his shield. The elemental orbs must be pushed into the slot at the same time. This will empower the guardians with a buff called “Unstable Energy Boost” which makes them do more damage to the boss than they could otherwise. The Defenders are responsible for calling out the side we will be DPSing from and which elements are needed to take Argus’s shield down. One designated Lead Runner (typically an Admin or Officer) will be directing the Runners to tell them which elements he wants them to charge their Vex Craniums at. When there is more than one orb of the same element to move, they will also be coordinating who will shoot which orb. Additionally, they will also be checking in to see if the Runners are in place to shoot the elemental orbs. Once they are, he will give a 3-2-1 countdown and all three Runners will shoot their assigned orb to push it into the slot. The Defenders are responsible for bringing a Vex Cranium to charge in the fires of the plate we will be DPSing from, as well as killing as many adds as possible. In some cases where there needs to be handoffs, the Defenders will need to be able to pick up charged Vex Craniums that the Runners are bringing to them. The Runners are responsible for listening to the callouts being made by the Lead Runner, and charging the Vex Craniums at the correct elemental fires assigned to them. During the DPS phase, everyone is expected to be aware of the boss shooting a large, white Vex Prison at the entire group. It has a charging animation and sound to it so it is easy to avoid. If you are caught in this, you will start floating away and eventually die. If you see someone get caught in the Vex Prison, you need to shoot at them to break them out. Additionally, after the DPS phase, the Defenders and Runners will split up to attack two of the assigned exposed areas on the boss’s body. The raid will be split into two groups of three, the Defenders and the Runners. Everyone will be assigned an elemental area to start from, and return to after each enrage phase. Additionally, each Defender will be paired up with a Runner. As a Defender, your primary job is to call out which side we will be DPSing the boss from, the type of elemental orbs spawned, and to clear as many adds on the side where we will be DPSing the boss from. When the fight starts, after identifying which side the orbs are on, the Defenders will make their way to that plate, picking up a Vex Cranium on their way. They will put the Vex Cranium into one of the three fires at that plate and start clearing as many adds as possible. If the Runner that you’re paired up with needs to drop their Vex Cranium to pick up one from the DPS plate, it’ll be your job to pick it up and use it to DPS the boss with. Do not waste it on killing adds, it does a lot of damage to the boss! As a Runner, you will be charging up the Vex Craniums and using them to push the elemental orbs into the slot that brings down Argus’s shield. When the fight starts, you will allow the Defenders to pick up the first Vex Cranium to take it to the side where we will be DPSing from. Shortly after the Defenders place theirs in the fires, a second Vex Cranium will spawn nearby that you will pick up. A callout from the Lead Runner will be made indicating which elements are needed to push the orbs and your job is to take your Vex Cranium to whichever plate is required. Once the Vex Cranium is charged, you’ll bring it back to the side we’ll be DPSing from. If one or more Vex Craniums from the DPS plate are needed to move the orbs, (example: Arc orbs at the Arc plate) the Runners will pass their unsuitable Vex Cranium to their assigned Defender and pick up a Vex Cranium from the DPS plate. Make sure you let your assigned Defender know you’re dropping it so they can get in place to pick it up! If there is more than one of a single type of elemental orb, the Lead Runner will coordinate who will be shooting which orb. A ready check will be made for the Runners. When everyone is in place, a 3-2-1 callout will be made and you’ll use your Vex Cranium to shoot your assigned elemental orb which will move it along one of the edges of the shield towards the slot. While using your Vex Cranium on your assigned elemental orb, treat it like a Pulse Rifle, shooting your orb in bursts to minimize errors and conserve ammo! Scenario 1: We are DPSing from the Arc plate, and all three of the elemental orbs are Arc energy. In this case, the three Defenders will bring their Vex Craniums to the Arc plate to charge, and begin clearing adds. The Runners will take the second set of Vex Craniums to whatever element they want. Ideally, they’ll stick together as a group and all go to the same plate to charge their Vex Cranium. Once they are done, they will bring them back to the Arc plate and drop them for their assigned Defenders to pick up. The Runners will then each take an Arc charged Vex Cranium and prepare to move the orbs into the slot. Once it is coordinated on who is shooting which orb, a 3-2-1 callout will be given before moving the orbs into the slot. Scenario 2: We are DPSing from the Void plate, and there is one of each type of elemental orb. In this case, the three Defenders will bring their Vex Craniums to the Void plate to charge, and begin clearing adds. Since one of the Void Vex Craniums will already be waiting for the Runners, one of the other elements can be doubled up on. 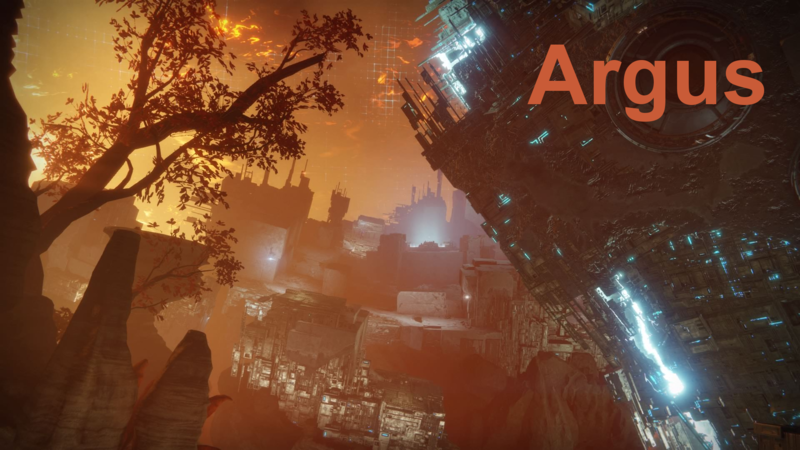 This means that two Runners can take their Vex Craniums to Arc and one will take theirs to Solar, or vice versa. After they are charged up, the Runners will bring them back to the Void plate. The Lead Runner carrying an Arc Vex Cranium needs to drop it for their assigned Defender to pick it up, and then pick up one of the Void Vex Craniums. From there, the Runners will prepare for the 3-2-1 callout before moving the orbs into the slot. Scenario 3: We are DPSing from the Solar plate, and there are two Solar orbs and one Void orb. In this case, the three Defenders will bring their Vex Craniums to the Solar plate to charge, and begin clearing adds. Since two of the Solar Vex Craniums will already be waiting for the Runners, they will all go to the Void plate to charge up their Vex Craniums. After they are charged up, the Runners will bring them back to the Solar plate. The Lead Runner and a designated Runner will drop their Void Vex Craniums for their two assigned Defenders to pick up, and each will then pick up a Solar charged Vex Cranium. Once the DPS phase begins, the first assigned Rally Barricade and Empowering Rift will be placed on the plate and everyone will begin DPSing the boss’s eye. The Defenders will pick up a Vex Cranium and use it to DPS to the boss. Once they are depleted, they will go back to using their normal arsenal. Shortly after the DPS phase begins, the boss will charge and then shoot a large, white Vex Prison at someone in the group. You need to anticipate and avoid this attack! If you are caught in it, you will start floating away and eventually die. If you get imprisoned, call it out so that everyone can shoot at it and break you out. Additionally, shortly after the boss casts the Vex Prison, a swarm of Seeker Harpies will slowly fly towards the group. Everyone needs to swap and kill them as soon as possible! During the DPS phase, prioritize using your DPS supers first (Golden Gun, Hammer of Sol, Nova Bomb), your grenades second, and then your heavy weapon. Once you’ve exhausted those, swap to your primary or energy weapon to finish out the DPS phase. Shortly after the DPS phase, Argus’s shield will go down, platforms will appear around the boss and he will begin channeling a raid wipe mechanic that needs to be interrupted. To interrupt this ability, two of the exposed areas on his body need to be destroyed. We will accomplish this by splitting up into two groups (Defenders and Runners) who will each destroy one of the exposed areas on his body. There are six areas of his body to damage, two on top of his head, two vents on his back, and two openings on his arms. It doesn’t matter which two are destroyed but for continuity, we will start with the areas on his head, then his arms, then his back. During the first enrage phase, both groups will ascend to one of the upper platforms and get in a position where they can shoot the exposed areas on top of the boss’s head. As you are looking at the boss, the Defenders will go to the left side (the boss’s anatomical right) and the Runners will go to the right side (the boss’s anatomical left.) Make sure you are hitting these exposed areas in the critical spots, we need to do as much damage in the shortest amount of time possible here. After each enrage phase, everyone will return to their assigned starting areas to await the callout of the next DPS plate and elemental orb requirements. Depending on the group’s composition, we will need to either do each phase two or three more times. During the enrage phase, you can shoot the exposed areas on his head from the platform which is one down from the highest platform, you don’t have to get to the top!